Hulk Hogan is arguably the most iconic wrestler of all time. When most people who don’t know a thing about professional wrestling hear that term, Hogan’s name is one of the first to come up. After all, the man was once a true pop culture icon and is credited with ushering the first golden age of professional wrestling in the United States. Without Hogan, there wouldn’t have been a Hulkamania, nor would there have been the pop culture crossover appeal needed to launch the then-WWF from the status of just another regional promotion into a national -– and then international -– sports entertainment juggernaut. But as much as WWE has marketed Hulk Hogan as the ultimate role model for children and the wider public, the man behind the gimmick hasn’t enjoyed as much happiness and success as one might’ve expected. Hogan has been through many controversies throughout his life, many of which have ended up costing him dearly. Within the wrestling industry, Hogan is well-known for being one of the most notorious backstage politicians of all time. He was believed to have possessed enough power to change entire matches and storylines to fit his character and desires, often at the expense of his co-workers’ careers. But Hogan has made as many faux-pas outside of wrestling as he has within it. 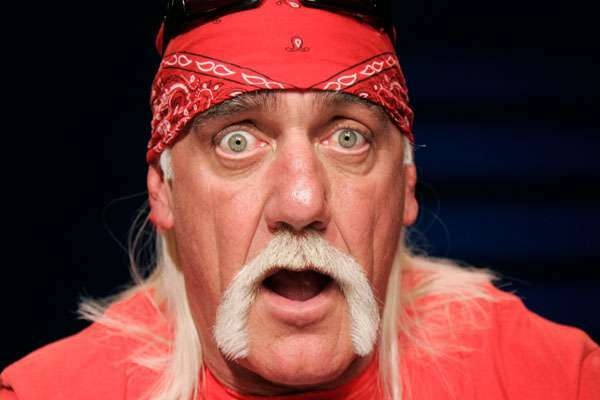 Here we’ll look at the five stupidest mistakes Hulk Hogan ever made. After a very brief run in the mid-2000s that did nothing for him, Hogan returned to TNA in late 2009 and began appearing on-screen in January 2010. As soon as he arrived (alongside Eric Bischoff), there were many changes started being made to TNA’s product, many of which cost the company dearly. It was during Hogan’s time that TNA got rid of their iconic six-sided ring, replacing it with a traditional four-sided one. Opposition to this decision was heard during Hogan’s opening promo, with fans chanting ‘We Want Six Sides’ very loudly. Then the subsequent storylines for TNA seemed to be centred even more on the ageing stars of yesteryear –- including both Hogan and Bischoff themselves – as opposed to the newer stars. Ultimately, Hogan’s time in TNA proved to be completely insignificant. Despite considerable attention being given towards Hogan’s TNA debut, it did nothing for him and even less for TNA.